What are my chances at Georgetown Law School with my LSAT scores? Located in Washington D.C., Georgetown Law School is one of the most competitive law schools. Ranked 14th in the United States by U.S. News in 2019, Georgetown has an acceptance rate of 26%, and a student body of over 1,700 students. Read on to find out everything you need to know about Georgetown Law LSAT scores, admissions, and more. The law school was founded in 1870, and is currently ranked number one for clinical training and part-time law programs by U.S. News. Clinical education is a crucial part of legal training, so this ranking is definitely an important part of Georgetown’s strong reputation. The student to faculty ratio is 5.1:1, which is really good for such a large school. The school also boasts 10 law journals, which address a range of legal issues. So, no matter where your legal interest lies, there’s a journal where you can learn and grow as a legal writer. The median LSAT score for Georgetown Law is a 167 and the median GPA is a 3.78. 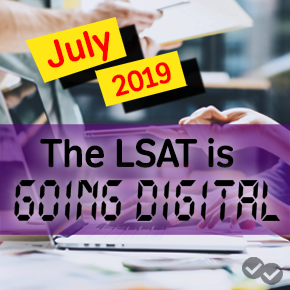 This is a very competitive score range, so be sure to create a strong LSAT study plan if Georgetown Law is your dream school. 168 and higher: This is definitely in the safe zone. As long as you have a solid GPA, your chances of getting into the law school with a score like this are very good. However, having a high GPA and a good test score won’t guarantee your admission. Be sure to make your overall application polished and well-rounded. 167: If you get a 167, you are definitely in the “in-the-running” zone. You’ll also want to have good grades. However, the law school states that it will take into account extenuating circumstances when evaluating candidates’ grades. 164-166: This is the “pretty-please” range of LSAT scores. Your score is lower than the majority of the accepted students. You’ll need amazing grades and/or some other distinguishing aspect in your application to get accepted. 163 and below: This is the “rare exception zone.” If you’re in this range, you can still apply. However, you’ll want to either apply to other schools, or consider taking the LSAT again. Beginning with the 2018 Fall entering class, Georgetown Law began accepting the GRE in addition to the LSAT. So, you may want to consider whether the GRE is right for you as you navigate the application process. Review Georgetown Law’s GRE FAQs for all the details on this new development, including what GRE score you’ll need to be competitive. Georgetown Law is a very competitive law school, and you’ll need an LSAT score to match. 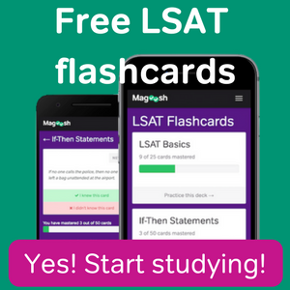 So, study hard and get the best possible LSAT score that you can. And if you find yourself struggling to get your LSAT score high enough—around a 167—then consider taking the GRE to increase your changes of getting accepted. 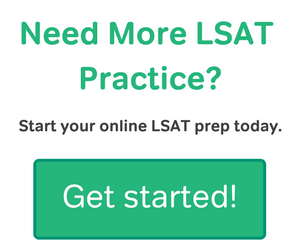 If you want to check out some LSAT score ranges for other schools, be sure to check out these posts!